The Karnataka CET Results 2014 will be announced on 27 May 2014, as per the information provided by Karnataka Examination Authority (KEA). Karnataka Examinations Authority (KEA) conducted the Karnataka Common Entrance Test (KCET) 2014 Exam from 1st May 2014 to 2nd May 2014. Karnataka CET Results will be announced on 27th May 2014 at 1:00 PM on www.kea.kar.nic.in/cet_2014.htm and www.karresults.nic.in. The candidates will be selected on the basis of secured merit and rank in Karnataka CET 2014. Answer keys of the exam was published on the official website of KEA within 05 days after completion of the examination. The said examination was held across 52 centres among 29 districts of Karnataka on 01 & 02 May 2014. 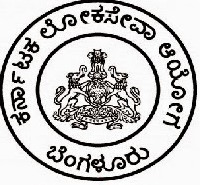 The Karnataka Common Entrance Exam 2014 was conducted for filling the seats in various courses offered by different government, private unaided or private aided professional colleges established in Karnataka State. Some of the courses are mentioned below. For minimum eligibility for giving the examination, Aspirants must have qualified the intermediate or equivalent form state board or central board. Wait is now over, as the result of Karnataka CET will release tomorrow on 27 May 2014. Provide mandatory details such as Roll number or Registration number of Karnataka CET to get the details.